The final completion of any project is an amazing accomplishment in itself, considering the rigor of work, time, and bureaucratic hurdling that accompanies almost any significant landscape architecture project. For those outside the studio, we are presented with grandiose concepts, then see nothing until the landscape is eventually realized. 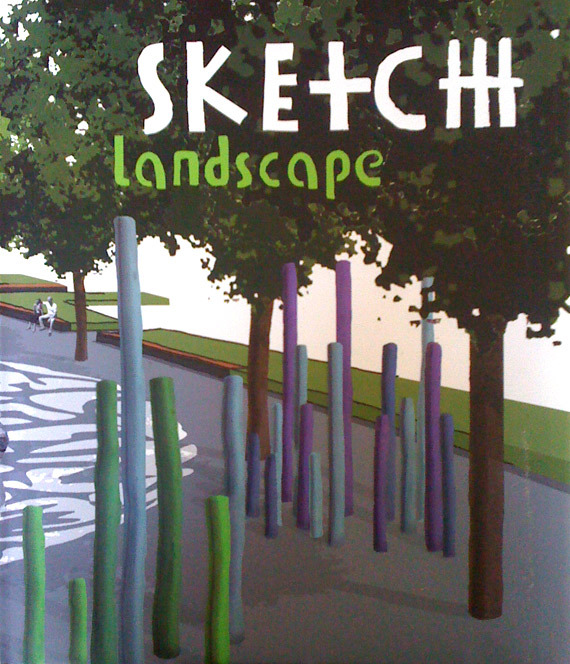 Sketch Landscape, is a visual narrative of the creative process of landscape architecture. 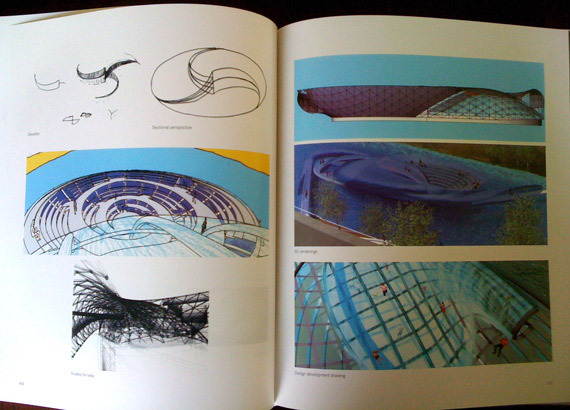 The book is made up of 500 pages of scribbles, sketches, quick model prototypes, and multi-layered trace paper drawings giving insight to how some of the world's most influential architect's approach design. 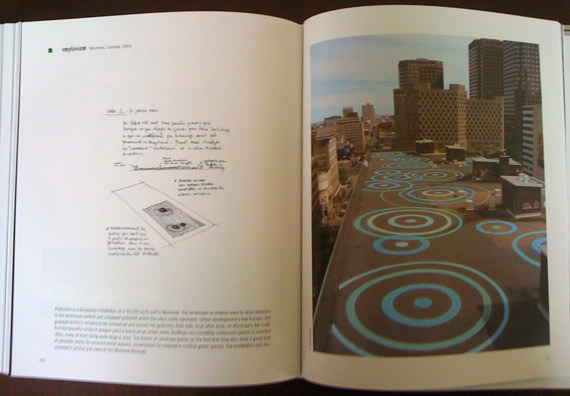 Though visually stimulating, I think the book is important because it shows that a design doesn't come from one brilliant flash of the "a-ha" moment, but involves serious study and translation of spatial thoughts. It can be a intense process of fitting creativity into real-world influences, and the sketches shown communicate this. Just to give you a quick glimpse I took a couple rough snaps of some of my favorite projects and studios featured. Landworks Studio out of Boston, who I've mentioned here on DUS before takes us through their process of three of their projects: Court Square Garden, Crackle Garden, and Macallen Rooftop. 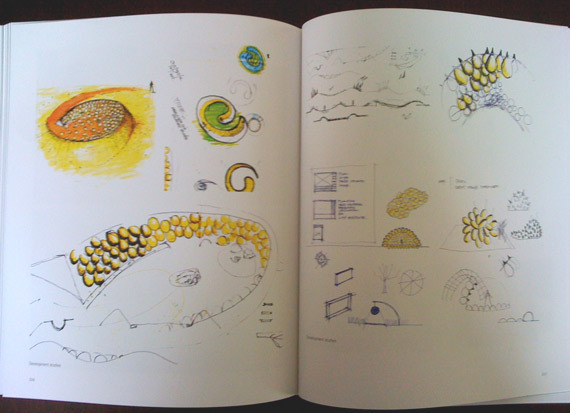 Acconci Studio shows beautiful early concept sketches of Mur Island. 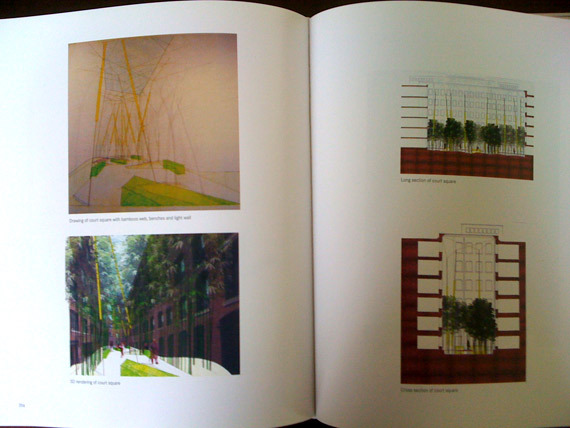 And a young new studio NIPpaysage who is doing exciting work, illustrates projects Green Shift and Impluvium. Whether a veteran architect or a designer with an interest in landscape and it's design process, I think you'll find the book a resourceful piece of inspiration. A book, that will spend more of it's time open on your desk then on a shelf.